Negotiating with the Taliban is likely a futile endeavor - unless they are prepared to ensure equal rights for Afghanistan's women. They must be required to "frankly state their position on the status of women, particularly with regard to health, education, access to justice and above all political representation," writes Orzala Ashraf Nemat, an activist from Afghanistan, for The Guardian. Firm conditions must be set before any negotiations begin. And the negotiators in this case should be required to post a bond of some sort, held in escrow, to prevent walking walking back on promises. Some members of the Taliban may be prepared to renounce extremism and be prepared to compromise and live with decisions that are not exactly to their liking. And they should prove this by walking away from the organization.The Taliban are few in number. And the opinion of a minority group that does not respect majority rights should not be over-weighted in global or regional circles. But negotiators can't even be sure that the Taliban gathering in Qatar are representative of the region's Taliban. The BBC reports that the group of 20 men includes no Taliban of Pakistan. "For years, the Afghan government and its Western backers have been trying to contact the Taliban, but they did not have a known address," reports the BBC News. "As a confidence-building measure, providing protection to those Taliban leaders participating in peace talks and finding them a permanent address became a priority for the US and the Afghan High Peace Council." The Taliban chose Qatar and the United States and Afghanistan went along. The Afghan government is rightly worried about the Taliban using the new base for promotion, recruitment or fundraising. A few members of the Taliban are in a new locale, enjoying luxuries not available to them in Afghanistan. There are no guarantees they speak for other so-called Taliban in Afghanistan or have control over putting a top to extremism - convincing others to abide by political process. The Qatar office could be nothing more than a scam. NATO troops are withdrawing, and Afghans must choose the type of society they want. Most in the country probably do not want to go backward. Photo of Afghan man beating a woman for removing her burqa in 2001, courtesy of RAWA and Wikimedia Commons. As the author of a mystery novel set in Afghanistan, I have often wondered if my internet wanderings have triggered alarms among analysts at the National Security Agency. And as reports emerged abut PRISM, I filed a request with the NSA’s convenient online form – inquiring about any files with my name or the title of my fourth book. After filing a request, I stumbled on the advice from the National Security Archive for filing a FOIA request – and that advice could be a model for the National Security Agency as they go about the business of collecting and storing vast amounts of our personal phone and internet data. The archive warns the public seeking FOIA requests that obtaining records can take a long time and be costly. Many documents are already public available – and alternative sources should be checked first. “Overly broad requests are wasteful in time (yours, and the government’s),” the site notes. Appeals can be filed, and the public is advised to check in occasionally, but not harass the FOIA officers. Finally, the archive advises: "Don’t send frivolous letters or file pointless appeals; they will delay the processing of yours –and others’ – requests." My request was not frivolous, and the NSA and our political leaders need to know that a huge range of Americans, of all ages and backgrounds, are concerned. A response arrived in less than two weeks, notifying me the request was denied. I won't appeal, but Congress must review these programs, and eventually much of the methods and data collections will be declassified to truly determine what works and what doesn’t. Transparency could contribute to ongoing public support of the widespread surveillance while eliminating the many questions and concerns. To conduct blanket sweeps on internet and phone conversations or not? Blanket sweeps are time consuming and may not be helpful and the analysts have many alternative avenues to investigate. Opponents of gun control in the United States insist that blanket applications of background checks are ineffective – and that’s for actual weapons. And perhaps that justifies outlawing the most lethal weapons, military-style assault rifles, just as government prohibits bombs, tanks and other military armaments. Of course, blanket searches of any type may eliminate some bias of targeted searches and profiling, but not the labeling and stereotyping that may go on among thousands of analysts with minimal education and training who have access to our data. And that’s the most troubling aspect of these programs. Hundreds of thousands of contractors with questionable backgrounds seem to have access to data, with so much potential for misuse and a lack of accountability among the managers who devised this unwieldy system. Congress needs to get straight answers on the operations of the National Security Agency – determining what kind of data should be collected, the appropriate number of analysts who need access, and the proper level of training. The House of Representatives hearing on NSA surveillance was a start. 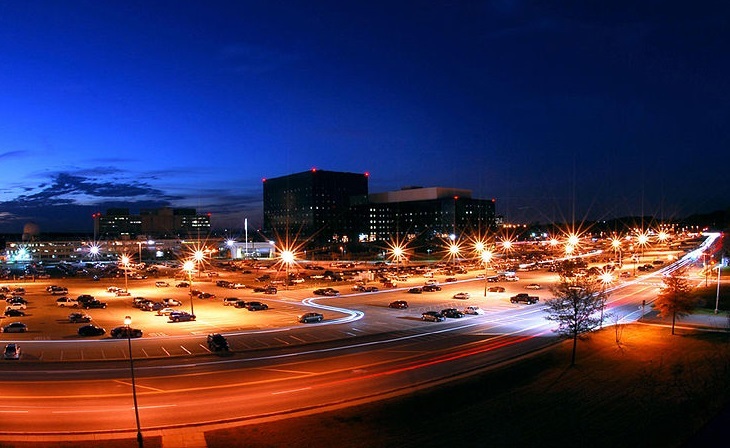 NSA headquarters at night courtesy of the NSA and Wikimedia Commons. Survivalists suggest that "A human face is a dead giveaway to the trained eye against a heavily forested background." Actually, the face of any creature attracts attention, particularly a big creature like a bear. Leaving a state park on one of Michigan's rural peninsulas, I noticed a face peering at me over a road sign, and my brain immediately registered curiosity and bear. Ducking, the bear moved out of sight and I thought I must have seen a stump. Then the bear crossed the road. Perhaps it was not the face, but the eyes - and the reason I initially registered an emotion over the creature itself. Another survivalist page advises carrying sunglasses: "Being able to look into someone's eyes gives you a lot of insight into what they are feeling and thinking." Human eyes do still out more than others because of the ample white color surrounding the iris and pupil - which allows others to determine what our eyes are staring at even if our head is not pointed n that direction. " Knowing what another person is looking at provides valuable information about what she is thinking and feeling, and what she might do next," wrote Michael Tomasello, co-director of the Max Planck Institute for Evolutionary Anthropology, for the New York Times. "If I am, in effect, advertising the direction of my eyes, I must be in a social environment full of others who are not often inclined to take advantage of this to my detriment — by, say, beating me to the food or escaping aggression before me. Indeed, I must be in a cooperative social environment in which others following the direction of my eyes somehow benefits me." The cooperative eye hypothesis might explain why in some societies women don veils, covering the entire face, even the eyes, and why veils in other societies expose the eyes. Employers routinely dismiss applicants who are older than 50 years or even 40 years. Political and industry leaders alike repeatedly suggest that the young are automatically better at handling technology than the old. It's not true. It doesn't have to be true. I might prefer putting my research questions - and yes, my personal and national security - into the hands of a skilled librarian of any age than into the hands of a so-called systems administrator, in his or her twenties and lacking in formal training. I wrote about reorganization of the FBI post-9/11, and the same argument applies to the National Security Agency post-Snowden leaks. "Reorganization of the FBI requires fundamental change and not just a reshuffle of administrators and agents," noted the opinion essay for The New Haven Register in July 2002. "In truth, the director must consider hiring a new sort of intelligence agent. Avid readers with meticulous indexing and organizing skills offer potential for uncovering terrorist plots on domestic soil - and no one fits that career profile better than librarians." The Bureau of Labor Statistics describes the position: "May perform in-depth, strategic research, and synthesize, analyze, edit, and filter information. May set up or work with databases and information systems to catalogue and access information." Yet the numbers hired by the federal government and industry, as reported by BLS, are dismal. Modern library science requires mastery over a wide range of technology, and it's one of the many ironies of innovation that this same technology is reducing the number of librarians in the community setting and beyond. "Library Science has the fourth highest unemployment rate at 15% and the fifth worst median salary at $36,000," wrote the Annoyed Librarian in 2011 for Library Journal. Brett Bonfield wrote about the quandary over whether the US is educating too many or too few librarians for In the Library with the Lead Pipe (quite the title - reminds me of Team Crowbar, whose creator insists there is no crowbar except by way of metaphor): "Library science is part humanities, part social science, and, at times in the past, and perhaps in the near future as well, part information science, and even computer science. 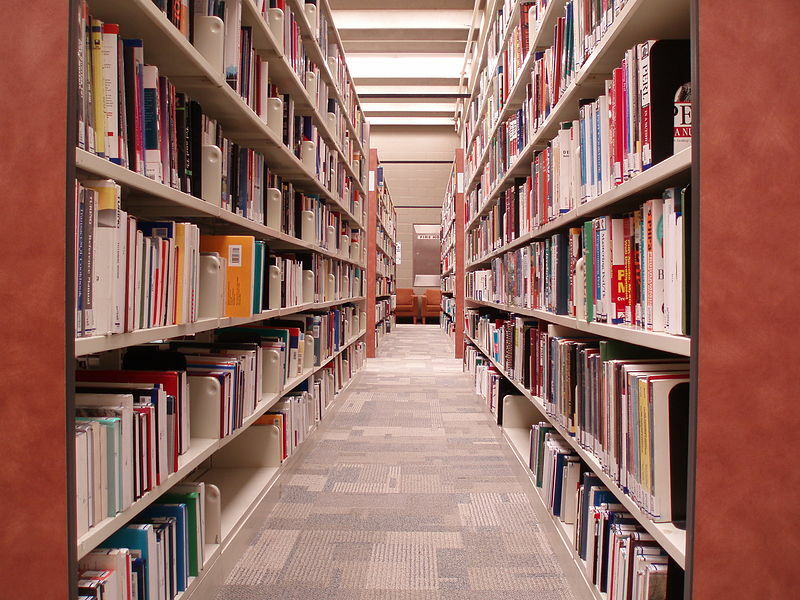 Figuring out how these tensions might be balanced has everything to do not only with the producing an appropriate supply of new librarians, but also ensuring these new librarians have the requisite skills to meet the demands of the marketplace." As I wrote back in 2002, government agencies like the Federal Bureau of Investigation as well as the National Security Agency and Homeland Security could immediately improve intelligence gathering by hiring librarians with technology backgrounds as analysts. Journalists who are adept with technology might come in second place. Time and time again, industry and political leaders are fooled by the fast talkers and new, shiny toys. Too many tech administrators create a false aura of complex secrecy to bill for unnecessary hours while librarians are eager to train and educate others regardless of their skill level. Cross-training is essential for efficiency. Bias against these skilled librarians lingers, compounded by bias against women and older workers. Jennifer Bushong, president of the Federal and Armed Forces Libraries Roundtable, wrote about my Register essay in Fall 2002 for the Federal Librarian and offered a theory: "For some reason modern managers and organizational developers don't like the title "Librarian". They know what we can do and they know that today's world needs our skills and services, but they can't bring themselves to call us what we are. So they give us titles such as knowledge managers and information specialists, avoiding the world librarian." Again, I'd prefer a librarian monitoring intelligence-gathering, all the while expected to respect civil rights and privacy, over Edward Snowden and other technicians who share his background. The most alarming aspect of these leaks is NSA hiring policies and strange reliance on contractors and uneducated workers, and fortunately, a few in Congress may pursue these questions. Another hiring scandal that threatened our economic security: Financial analysts and ratings agency officers who issued reports knowing their analysis is bogus. Mike Taibbi writes about "The Last Mystery of the Financial Crisis" for Rolling Stone, and quotes one Standard & Poor's analyst: "[T]his has to be the stupidest place I have worked at. As you know, I had difficulties explaining 'HOW' we got to those numbers since there is no science behind it." People employed in positions lacking in productive tasks, with hours and procedures designed to mislead clients and the public, should speak up or quit. Photo courtesy of Raysonho and Wikimedia Commons. Can it be that giving funding to the wrong folks is far more destructive than no funding at all? 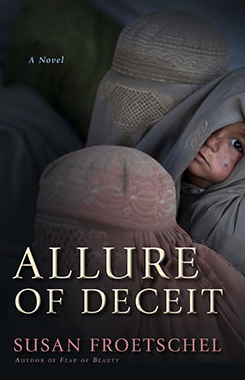 Anna Badkhen argues that the iniquities in Afghanistan are grotesque, particularly for women. She urges the international community "look squarely at our own complicity in the shameful circumstances of Afghanistan's women, billions of international aid dollars and 12 years after U.S. warplanes first bombed their ill-starred land." She is the author of The World Is a Carpet, a book that describes a year spent in a remote Afghan village and the dreams of women and children who work at weaving carpets. Many schools have opened over the past decade, but progress in the country of 31 million is uneven with threats coming from all directions. Many girls eventually stop attending school. Aid flows to those in power rather than vulnerable women. Badkhen calls for an end to violence, but also questions the withdrawal of NATO troops. Those troops remain targets for extremists. More than 195,000 Afghans have been trained, along with 5,000 special forces and thousands of police and security officers. More money will not help. The time has come for Afghans to resist bullying and stand up for the society they want. 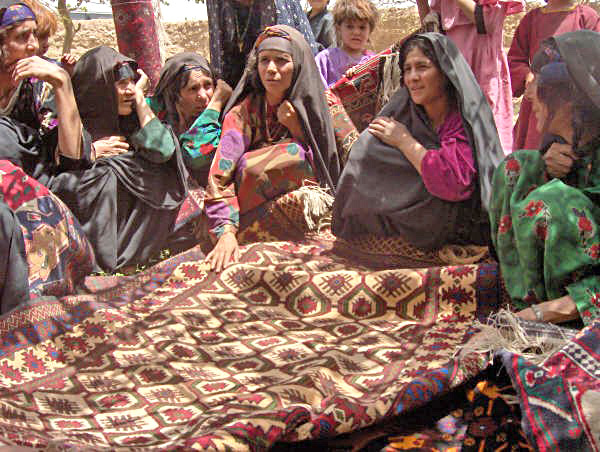 Photo, courtesy of Wikimedia Commons and USAID, "Widows in the Adraskan District of western Afghanistan voted to form an association to produce and market traditional wool carpets in a USAID funded project." Afghanistan has taken the top spot in the world in risk for money laundering, reports the Basel Institute on Governance and Samuel Rubenfeld in his blog for The Wall Street Journal. The ability to transfer money - making it appear to come from legitimate sources - allows crime to flourish. "The launderer might choose to invest the funds into real estate, luxury assets, or business ventures," notes the inter-governmental Financial Action Task Force. Without money-laundering outlets, "international organized crime would not be able to function," explains Investopedia. The non-profit Basel Institute on Governance is based in Switzerland and focuses on prevention of corruption in public and corporate governance, prevention of money laundering and the recovery of stolen assets. The Basel Anti-Money Laundering Index is not a crime report: "As the Basel AML Index is designed to assess the risk of money laundering, the fact that any of these countries received a high ranking does not necessarily mean that they experience the most money laundering or terrorism financing.... It is indeed important to note that money laundering and terrorist financing cannot be quantitatively measured since most of it occurs, due to its illegal nature, in absolute secrecy." The index assessed 149 countries, assigning scores from 1 to 10. Afghanistan is rated 8.55, Pakistan at 6.53, the United States at 5.24 and Norway poses least risk at 3.17. The index excludes countries lacking in data so a few like North Korea are not on the list. Afghanistan is new to the list. Basel AML indicators cover adherence to financial and accounting standards, transparency, rule of law, judicial strength and more. A possible sign of erosion in the availability of public data is a reduction of index indicators, from 15 to 14: "Euromoney’s sub-indicator on political risk has been removed as it is not publicly available anymore." That indicator represented less than 2 percent of the overall index. Compiling and presenting data require money and time, and such public reports could be targets as indebted nations search for cost reductions. The UN Office on Drugs and Crime has estimated that proceeds from money laundering at $1.6 trillion, or 3.6 percent of global GDP. The estimates may run low. "Launderers are continuously looking for new routes for laundering their funds," the task force warns. "Economies with growing or developing financial centres, but inadequate controls are particularly vulnerable as established financial centre countries implement comprehensive anti-money laundering regimes." 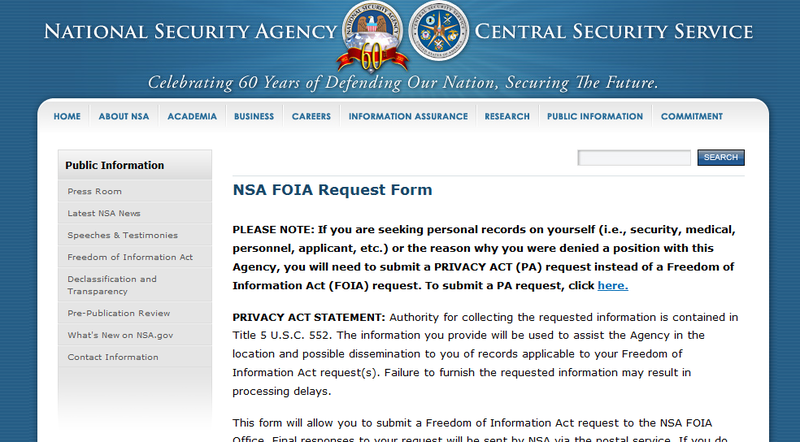 I just filed my Privacy Act request with the National Security Agency. The NSA makes filing such requests very convenient - you can do so online, fax or mail. Of course, filling out the form probably means that I'm connecting new dots for NSA analysts regarding my many old emails, addresses and phone numbers. 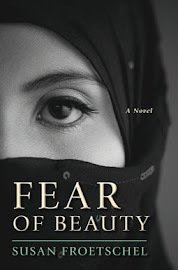 After researching a novel like Fear of Beauty - set in Afghanistan, told from conflicting points of view of a rural and illiterate Afghan woman and an Army Ranger, with a plot focusing on religious extremism, weapons and war, conflict among members of a provincial reconstructions team, surveillance and more - I'd be surprised to have not hit some nerve. The same goes with writing and researching material for YaleGlobal Online, a job that entails reading reports of all types from around the globe, including the offerings of WikiLeaks, and posting a full range of opinions on numerous topics, with equal measure of praise and criticism for US and other country's methods in their global dealings. And then there is today's Facebook posting that suggests the leadership of NSA should be held responsible for devising a system that extends access to so much personal data to hundreds of thousands of contract employees, at excessive wages, including a young man who dropped out of high school. The NSA's leaders have lost control of this system as was predicted back in 2006 when details first emerged. All responsible should be fired. With luck, I'd also expect the analysts to quickly spot my long background in mystery writing and shelve specific concerns about me as a security risk. June 13: The Des Moines Register reiterates my reaction of two days ago that more than one person is responsible for this leak. "It seems the leak is the result of the government’s slipshod management of classified national secrets.... the true scandal is inside the NSA and the CIA: Based on Snowden’s telling, the United States government entrusted a high school dropout who began his career at the National Security Agency as a security guard with some of the most sensitive national security secrets with potentially explosive international repercussions." Sometimes nature prefers order, too. Provincial Reconstruction Teams are wrapping up their work in the provinces of Afghanistan and saying farewells. US Army Spc Brian Smith-Dutton writes a beautiful article for Clarksville Online about the agriculture PRT in Khowst. “Our emphases has been row planting, basic crop rotation, soil management for pest control, animal care, crop selection, green house management and low tunnel green house development,” said US Army Major Gregory Motz. 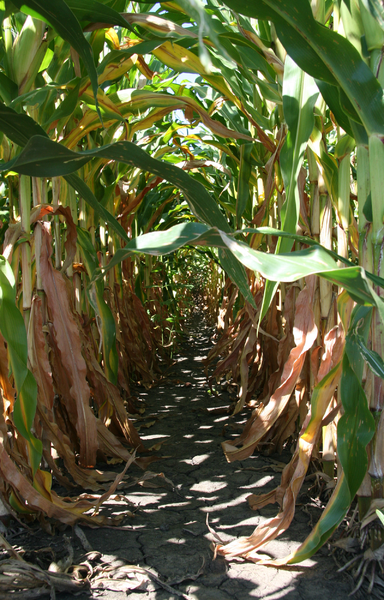 The team convinced some Afghan farmers that planting corn in rows would produce a larger crop. And one young Afghan farmer had a wager with his father over rows - and by the end of the season could show that rows produced more corn with half the seed. In the article, Motz described the work as the best job he's had in the Army. "To be able to see the progress the Afghans have made in a year and know that it isn’t because we did it for them, but with them." Fear of Beauty tells the story of a fictional Provincial Reconstruction Team, struggling to provide similar agriculture advice in a remote part of northern Helmand Province - and of course, one of the characters is keen on wheat. And as Motz suggests, the most successful team members are those who focus on "working with" rather than "did it for them." 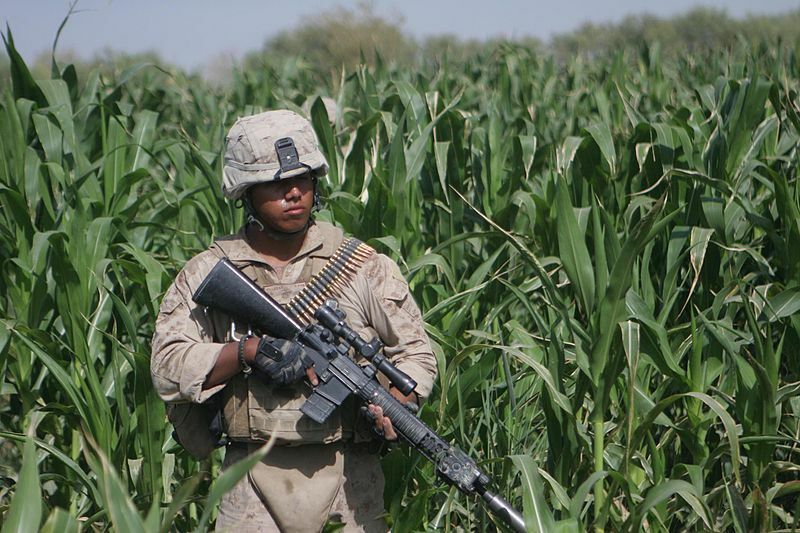 Photo of corn field in Afghanistan, no rows, courtesy of 1stLt Kurt Stahl, US Marines and Wikimedia Commons; corn field row in Indiana, courtesy of Huw Williams (Huwmanbeing) and Wikimedia Commons.